You are ready to climb Kilimanjaro. You have chosen your climbing route, you have booked your flights, you have done your homework with regards to the climate zones on the mountain and have packed accordingly and, finally, you are bringing some tips for your friends, your porters. Everything is arranged, but there is just one thing that is missing between your airport transfer and the start of your Kilimanjaro climb. Accommodation. 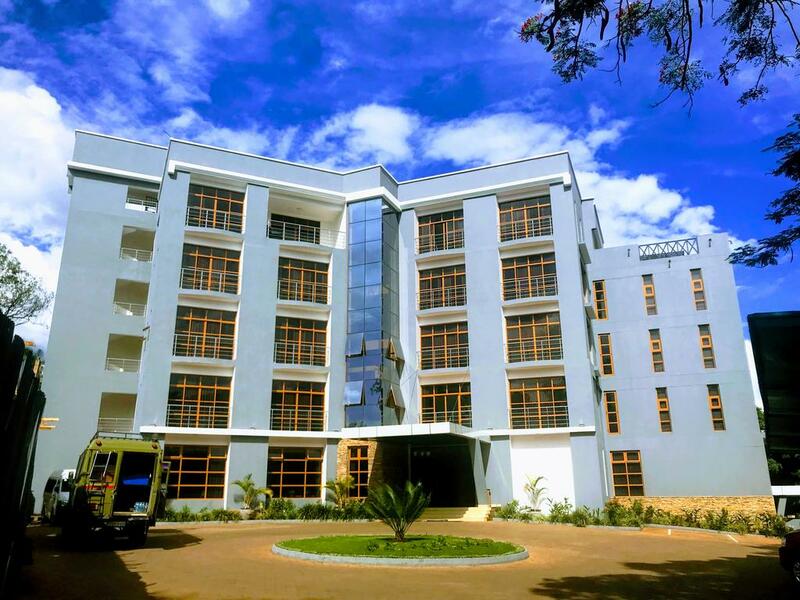 Where to stay in Moshi? It is a question we get very frequent and with the help of our partners in Tanzania, we are here to point you the way. Moshi is the gateway to Kilimanjaro National Park. Not far from the Kenyan border, the town is home to about 200.000 people of whom many are working in the local tourism industry. Moshi is not only famous for Kilimanjaro, but it is also popular as a base for safaris in the many other national parks that you can find in this part of the country. From Moshi, you can easily arrange a safari to either Serengeti, Tarangire, Lake Manyara, and the Ngorongoro Conservation Area. Our partner Enosa Expeditions likes to make use of the Altezza Lodge, a tranquil hotel with a charming character in the Shanty Town area. “It is not too big and that makes this hotel rather peaceful”, Noel Ernest of Enosa Expeditions explains. “We like to accommodate guests here because we know that we can depend on the staff of the Altezza Lodge.” The lodge has a pool, rooms come with air conditioning and there is free WiFi available. If you need a drink either before or after your Kilimanjaro climb, you will likely meet fellow climbers in the bar area. 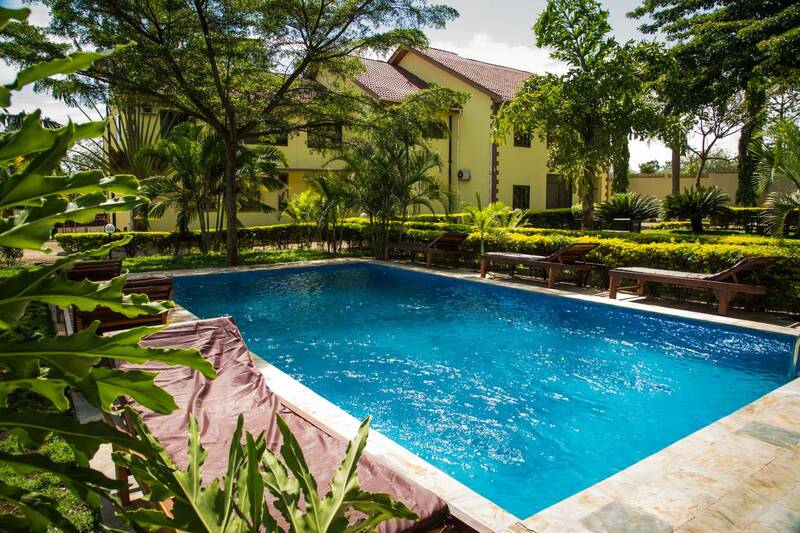 Right at the edge of the lush Uhuru Park adventurers can find the Parkview Inn Hotel. This hotel is an accommodation partner of Top Climbers Expeditions, Enosa Expeditions, and Tanzania Joy Tours. “We love the Parkview Inn Hotel because it is close to the town center and because it maintains a high hygiene standard”, says Emmanuel Mremi of Tanzania Joy Tours. The Parkview Inn comes with air conditioning, lockers a pool and many more services. “For us, the fact that the Parkview Inn is so close to town is a massive drawcard”, says Manase Mwanga of Top Climbers Expeditions, underlining the reason for using the hotel. If you are already staying in a tent on Kilimanjaro, you might also prefer to stay in something not so luxurious when you are in Moshi. 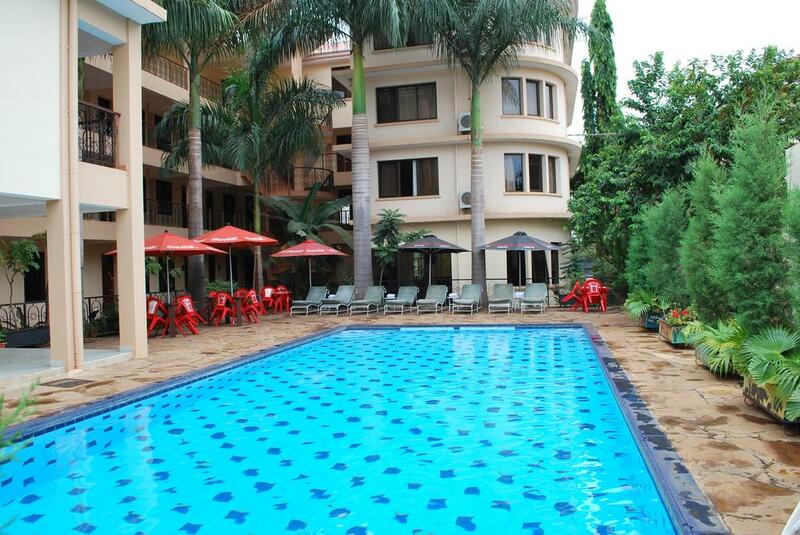 Fortunately, Moshi has great options for those who are more than happy to stay in a backpackers or hostel. And why wouldn’t you stay there? 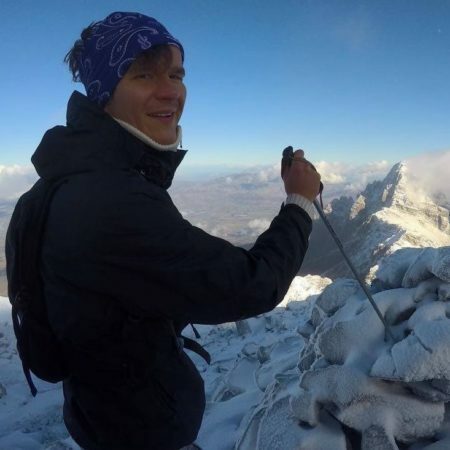 There is no better way than to get in touch with fellow climbers and travelers! Traveling, that’s what we like to do. Why not stay at We Travel Hostel? 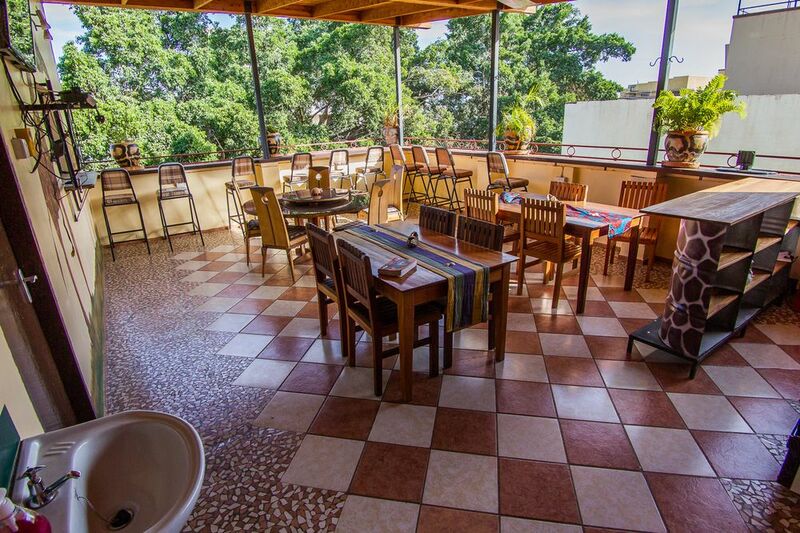 Located right next to the city market, you can relax in a combination of modern and rustic African vibes. Enjoy a beer on the roof terrace while discussing the struggles on the Northern Circuit on Kilimanjaro. The We Travel Hostel comes with dormitories with bunk beds but there are also some private rooms where you can stay. 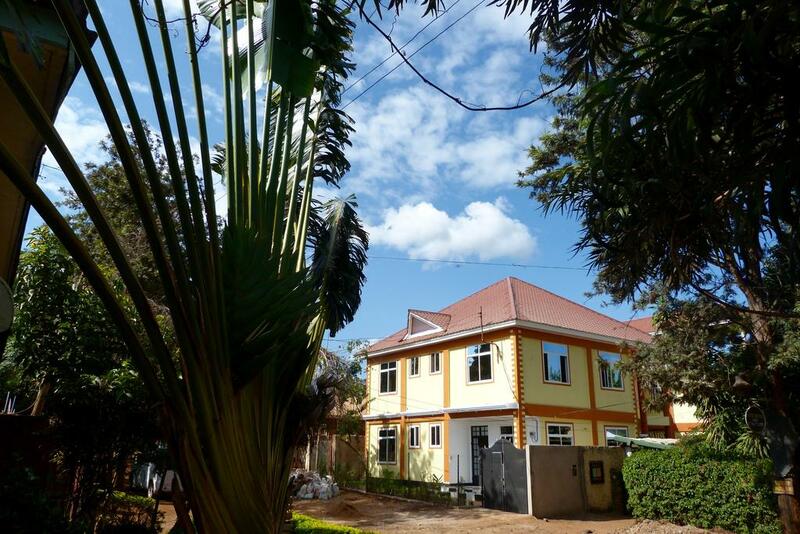 Last but certianly not least, we present you the Rafiki Backpackers & Guesthouse. No doubt you will have a flashback to Rafiki of the Lion King, but did you know that Rafiki means friend in Ki-Swahili? A friendly welcome is exactly what awaits you at this hostel which has deserved its stripes in the tourism industry of Moshi. In 2015 and 2016 the hostel was awarded the Best Hostel in Tanzania award by TripAdvisor. Definitely not a bad place to enjoy a Kilimanjaro beer and brag about Uhuru Peak. If you need any advice to arrange accommodation in Moshi or would like to add accommodation to your climbing package, you can get in touch with our trekking experts. Also, make sure to check our travel guide for climbing Kilimanjaro.